Posted: Monday, March 21, 2016. 12:21 pm CST. 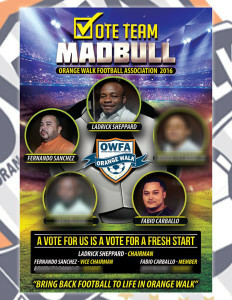 By Dalila Ical: The Orange Walk Football Federation has a new membership following elections on Sunday. The election for the Chairmanship of the federation went for two rounds of votes. By the end of the second, Ladrick Sheppard Jr. was elected as the new Chairman, beating Carlos Umania. The post for Vice Chair was uncontested and therefore Fernando Sanchez was endorsed. Three other members were elected and include Fabio Carballo, Alvaro Marin and Hector Moralez. There were a total of 17 voters who took part in the election. The election was delayed for a week due to an appeal entered by Sheppard to have seven more votes enter election the process. 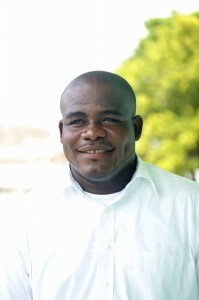 The appeal was upheld by the board of the Football Federation of Belize (FFB). Sheppard and Sanchez had entered their name at the last minute and were guided by the FFB to enter successfully, said Sheppard. He will now lead the Orange Walk Football Federation for the next four years and says he has a number of things he wants to target. Among the most important to Sheppard, is working to “take football back to its former glory in Orange Walk in the days of Juventus”. He goes on to say that “one of the problems was that players were not recognized” and this will be another area of focus for Sheppard. In addition to all this, he plans on registering more teams under the Federation, including female teams so that they too can be a part of the elections as well.